TSS Rovers are set for two fierce all-Canadian battles this weekend, with a lot on the line this early in the PDL season. 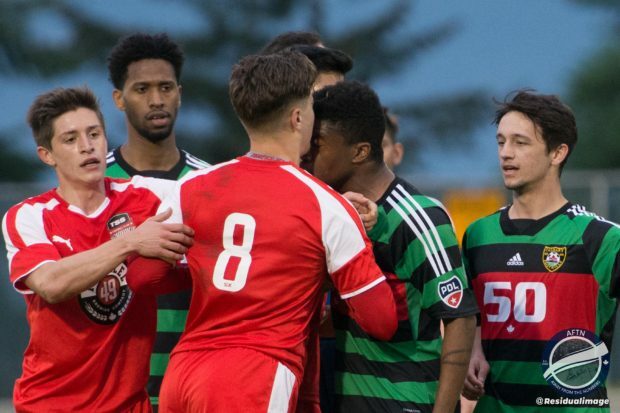 After a disappointing 4-1 loss at home to Lane United, TSS have gone on a three game unbeaten run, beating Portland Timbers U23s 3-1 at Swangard before taking four points from two road games last weekend in Seattle and Victoria. That’s left the Rovers sitting in second place in the Northwest Division standings and facing a top of the table clash with first placed Calgary Foothillls at Swangard Stadium this evening (kick off 7pm – Tickets available HERE and at the gate), and a chance to win their first Juan De Fuca Plate against Victoria on home soil on Sunday. A win for TSS tonight would see them draw level on points with Calgary at the top. Doing so by a three goal margin will see them take first place on their own. And the Rovers players are up for the occasion. Calgary will certainly prove to be TSS’ toughest opponents so far. Tommy Wheeldon Jr has put together a talented squad, full of well known names including Canadian international Nik Ledgerwood and a plethora of former WFC2 and Whitecaps Residency players. They’ve certainly looked like the team to be in the division this season and Elmes expects to see their strongest line up out there tonight, despite facing Seattle Sounders down in Tacoma on Sunday. But TSS beat Calgary 2-1 at Swangard just over a year ago in a fiery encounter, and they’ll be looking for the same again tonight. 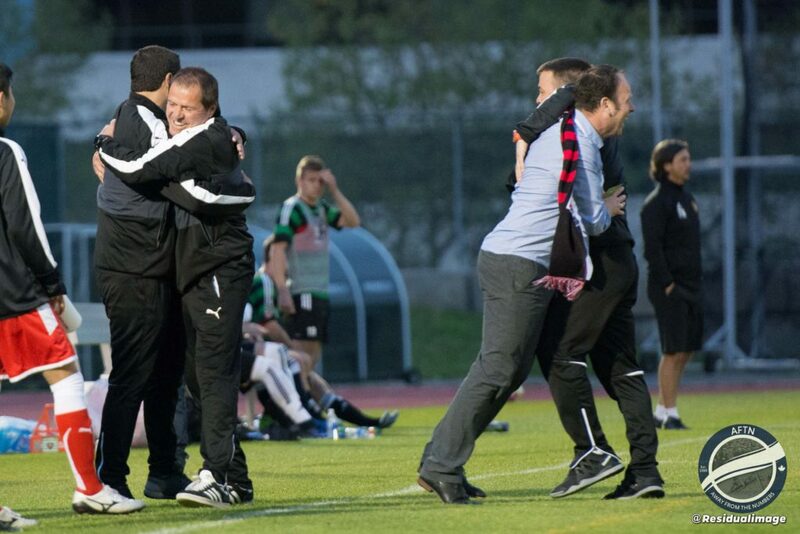 The Foothills are unbeaten this season with three wins and one draw, but they’re not blowing opponents away or banging in the goals, instead getting their results based on a solid defensive footing. TSS certainly have the players to test that, but it’s Calgary’s footing in the Rovers penalty area that they need to watch out for. “Those guys can play any way you want really,” Elmes said of Calgary. “They can get the ball down and play through all thirds, they can hit diagonal balls in behind you. Lots of crosses, lots of entries into your penalty area. As we know, they’ve won a few penalties last season and the first four games of this year, so you’ve got to be careful! It’s going to be a cracker, so PVR the Whitecaps and get yourselves along to Swangard for 7pm. Here’s video of our full chat with Elmes about those two strong showings on the road last weekend and tonight’s match.